The Broadway League and the American Theatre Wing have announced that Melody Herzfeld, the Stoneman Douglas High School theater teacher who saved the lives of 65 students during the recent tragic shooting in Parkland, FL, will be presented with the Tonys' 2018 Excellence in Theatre Education Award. The 72nd Annual Tonys ceremony will be held at Radio City Music Hall on June 10 at 8:00pm. The Excellence in Theatre Education Award recognizes a K-12 theater educator in the U.S. who has demonstrated monumental impact on the lives of students and who embodies the highest standards of the profession. A panel of judges comprised of the American Theatre Wing, The Broadway League, Carnegie Mellon University and other leaders from the theater industry selected Herzfeld from finalists across the nation. Herzfeld will receive $10,000 for her theater program and tickets to the Tony Awards and gala. 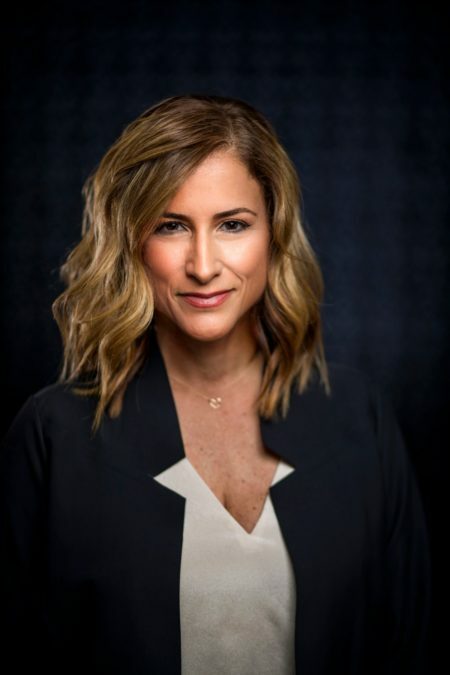 Melody Herzfeld is the director of the Marjory Stoneman Douglas High School drama department, where she has been teaching drama since 2003 and has produced over 50 productions. She has produced the Children's Theatre Project since 2003 and has received countless Critics' Choices and state selections to represent the school's district in Thespian competitions. Her theater program has also received many South Florida Cappies, an award which celebrates excellence in regional student theater and journalism. Stoneman Douglas has consistently earned Cappies Critics' Team recognition throughout the years. Herzfeld is the recipient of the Thespis Award 2018 EdTA, from the Education Theatre Association. On February 14, when the unthinkable happened at Stoneman Douglas, Herzfeld and 65 of her students hid in her office for two hours until authorities led them to safety. From this event, many of her students felt a call to action to speak out and use their voices. Others took to theater and music as a way to express how the experience affected them. Under Herzfeld's guidance, just one week after the horrific events, her students performed an original song titled "Shine" at the CNN Town Hall. "During a normal given time, I would say that I am truly humbled and grateful for this recognition for the work I have done, however the way that my students have taken to action through speech, performance and passionate honesty it now means so much more," said Herzfeld. "My work is being reflected through my students, as it is every day with every arts teacher around the world." "Melody is a true inspiration to her students and to all of us in the theater community and beyond. Theater is transformative—it has the power to celebrate the best of times, and it has the power to help heal us and comfort us in the worst of times. We are honored and humbled to present the Excellence in Theatre Education Award to Melody this year," said Charlotte St. Martin, president of The Broadway League, and Heather Hitchens, president of the American Theatre Wing. "Carnegie Mellon University is proud to be shaping the next generation of artists and performers whose passion for the arts is first ignited by teachers like Melody Herzfeld, this year's recipient of the Excellence in Theatre Education Award," said Carnegie Mellon University President Farnam Jahanian. "This award, now in its fourth year, shines a national spotlight on arts education and the vital role theater educators play in helping students embrace their creativity and realize their potential. Carnegie Mellon is delighted to recognize all that Melody has done to impact the lives of her students over the years and we offer our sincere congratulations to her on this honor." The 2018 Tony Awards will be co-hosted by Sara Bareilles and Josh Groban. The ceremony will be telecast live on CBS.